Mound-forming deciduous tree with deeply and linely cut palmate leaves. These are dark purple-red in colour. A. palmatum var.dissectum This tree's green leaves turn red and then yellow in autumn. 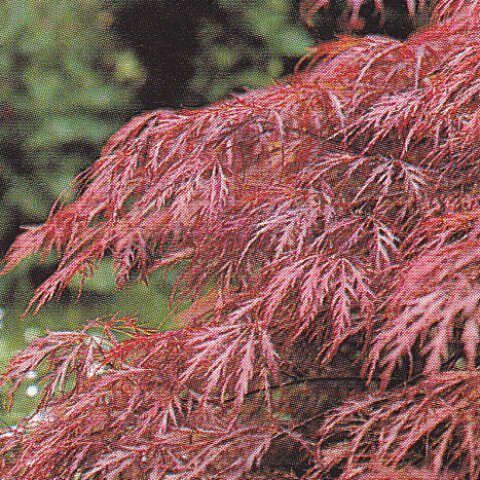 A. palmatum 'Red Pygmy' Upright with linear leaves that are dark red in spring, green in summer and yellow in autumn. 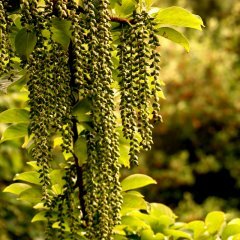 Cultivation: Plant in spring or autumn in large planter of John Innes No.3. Site in partial shade with protection from cold winds and late frosts, which may damage foliage. Water freely while growing, applying a balanced liquid feed monthly from spring to midsummer. Prune out any weak or damaged branches in winter. Prone to aphids and mites, and leaf scorch in exposed positions. 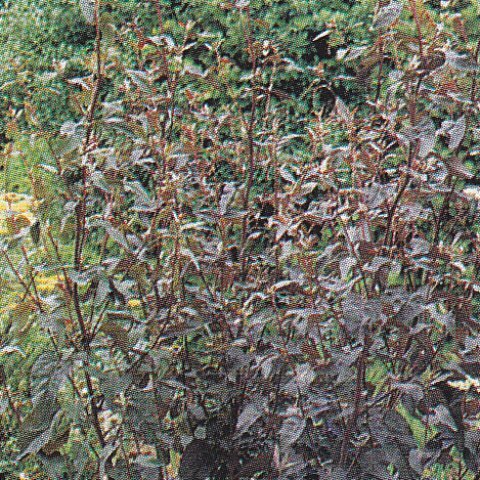 Fast-growing, erect annual with reddish stems and purple-green foliage. Cultivation: Plant out after, the last frosts in a good quality potting mix. Site the planters in full sun in a sheltered position. Water freely and apply a balanced liquid feed every month. Seeds can be sown directly into their planter in late spring. 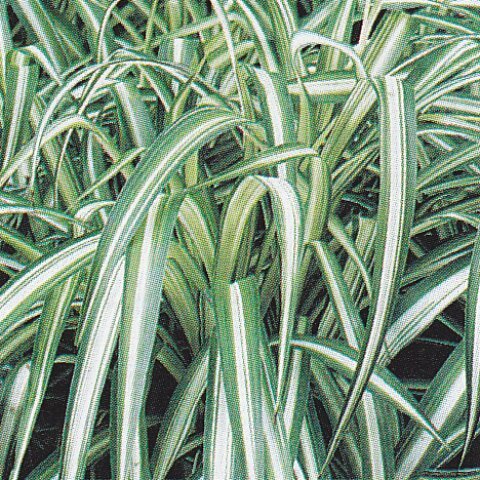 Popular evergreen perennial with arcing, linear leaves, striped white along the centre. May produce a series of plantlets on arching stems. C. comosum 'Variegatum' Leaves have white margins. shade. Water freely and feed monthly in the growing season. Over-winter indoors on a sunny windowsill. 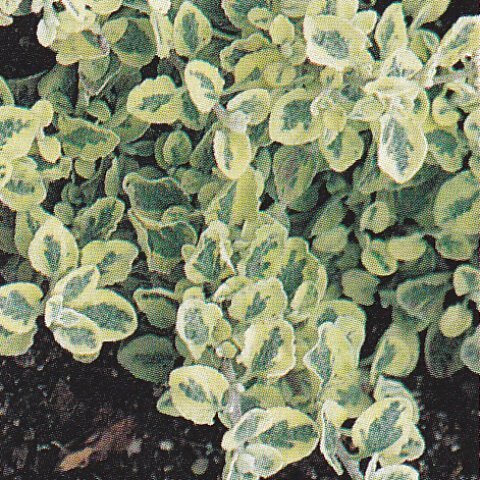 Trailing perennial, usually grown as an annual, with oval, felted, silvery green leaves, each with a dark green central blotch marking. H. petiolare 'Limelight' Yellowy green leaves. potting mix at the edge of a planter or basket, so that the trailing stems can hang down. Site in full sun but be careful not to allow the compost to dry out. Apply a balanced liquid feed every two or three weeks. Pinch out the tips of young plants to promote bushiness. H. 'Golden Tiara' Leaves are mid green with irregular bright yellow margins. Cultivation: Plant in spring or autumn in large pots of John Innes No.2 with added organic matter. Site in light shade. Yellow-leafed cultivars generally colour best with some exposure to sun. Shelter from cold, drying winds. Water freely while growing never allowing the compost to dry out, and feed in midspring and midsummer. Mulch annually in spring with leaf-mould. 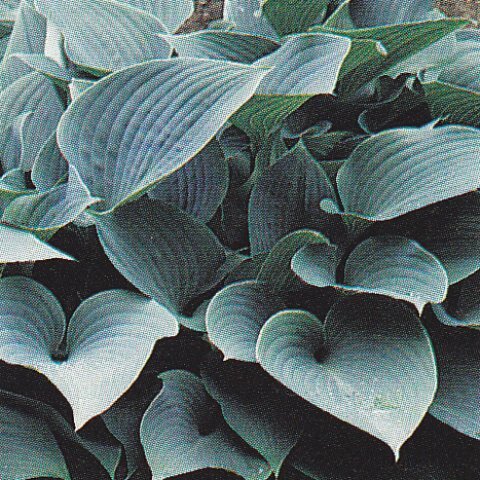 Hostas are particularly prone to attack from slugs and snails.